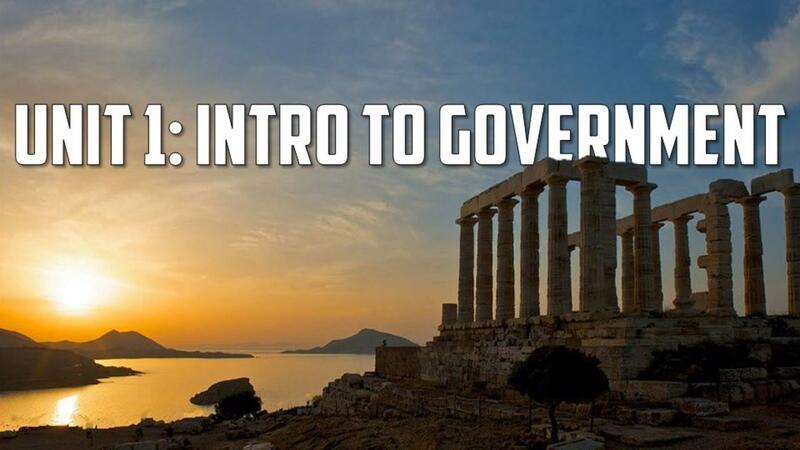 The first unit in our American Government curriculum introduces students to the basics of government over 2 weeks. 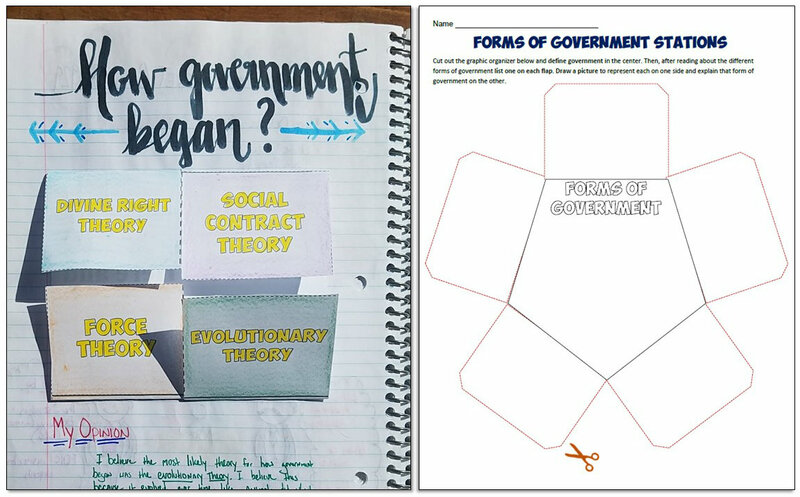 The first day in the unit features a PowerPoint and guided notes / interactive notebook page on the "state" and what the purpose of government is. 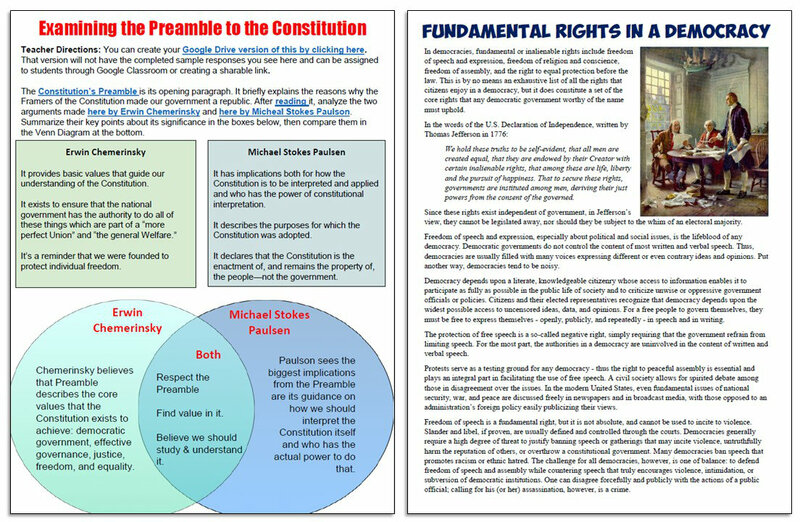 Students then use an interactive Google Drive page to use the Preamble of the Constitution as a way to look at the purposes of government. Day 2 features another PowerPoint and interactive notebook page along with a fun "chalkboard splash" activity and cartoon assignment. Next, students look at forms of government with a stations activity, video, and assignment to look at modern examples of each form of government. The next class period, students watch a short, video on democracy, review a PowerPoint with guided notes, and then a reading on the characteristics of democracy. There is then a full day of review with links to online review games designed specifically for this unit, a study guide, and a worksheet. Lastly is an editable assessment for the unit. If you are interested in just this unit for your class, you can download it individually here on TpT and start using all the resources today! 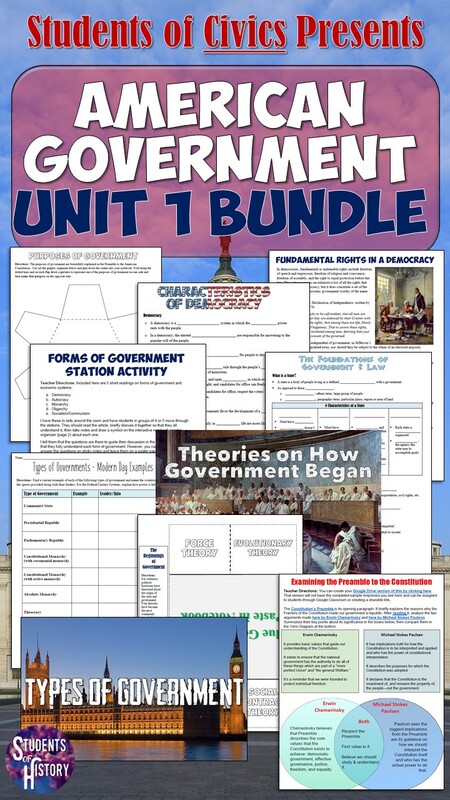 Or, you can subscribe to Students of Civics and get immediate access to this unit, plus every other unit in the curriculum! Join Students of Civics and access all these resources today! Enter your email and we'll send you some awesome Civics resources you can use right away! Want to know more about Students of Civics lessons? Enter your email and we'll let you know!